2019 will no doubt be another year with climate change grabbing the headlines – Met Éireann’s first forecast of the year set the tone by saying “human induced activities” influenced the weather in 2018. The Environmental Protection Agency also recently warned solid fuel burning and transport emissions continue to seriously pollute the air. Self-builders can play their part in many ways. 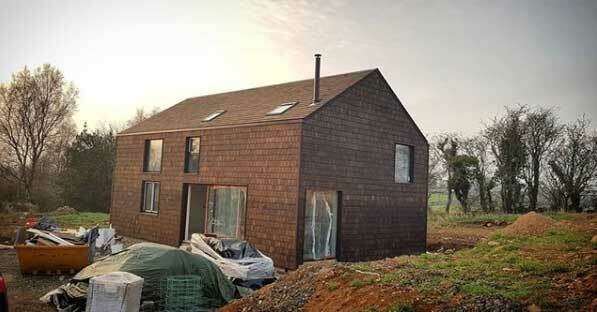 One is by building low energy homes, even ones that can power their electric vehicles. 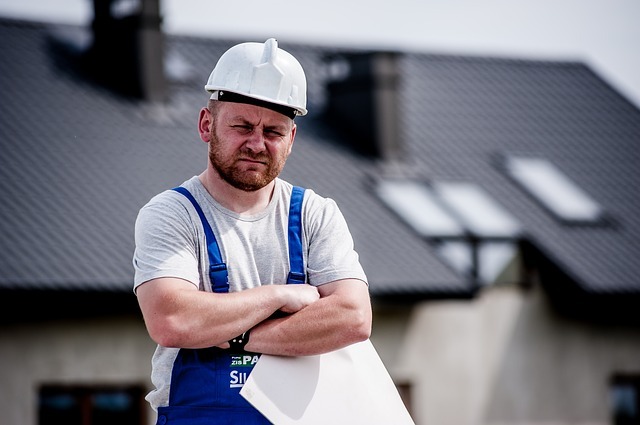 The new building regulations in ROI due to be introduced early in 2019 will make sure all new homes are built so that they require very little energy to run. It’s a development that’s to be welcomed and that will hopefully help drive the price down of renewable technologies. And because the cost of building is at the heart of all self-builds, we’re starting a budget series to help you cost your project. Turn to page 98 to start at the beginning with the foundations. 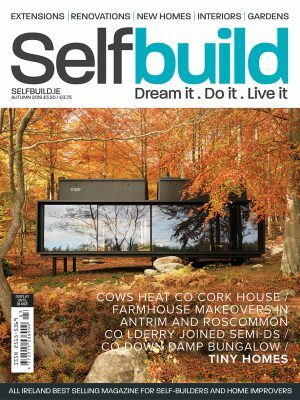 Living the dream – Nicola and Dom Thorpe’s journey to build a contemporary home nestled in the Co Down countryside. 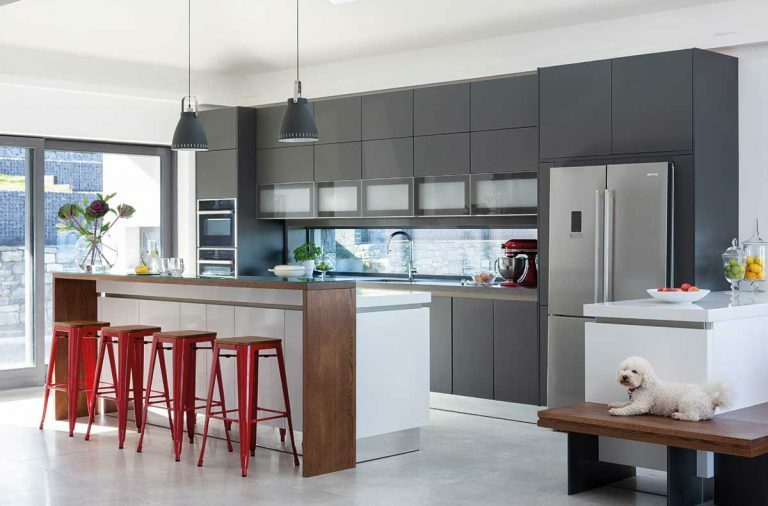 Kitchen central – How Kate and Lorcán Horgan designed their self-build in Co Monaghan around the kitchen. Mid-century magic – Cora Marshall and Philip Clarke transformed their two-up two-down house in Co Dublin by moving the staircase. 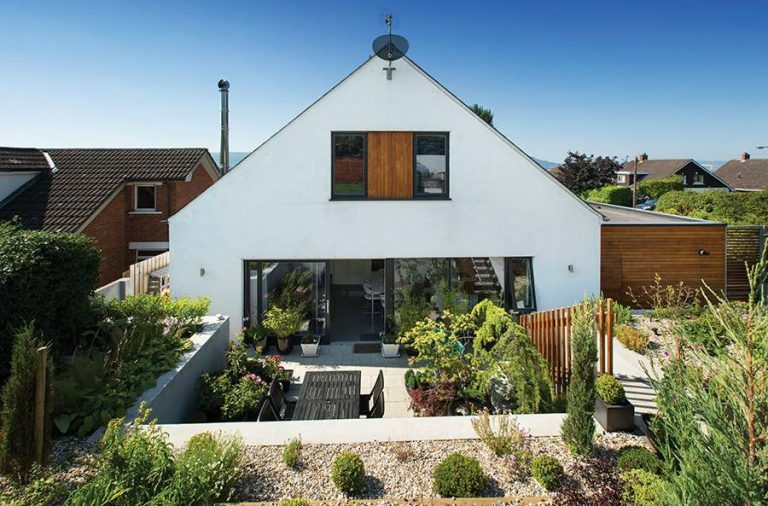 Right from the start – A box extension with a high specification is all it took to transform Gayle and Graeme Doyle’s home in Co Down. 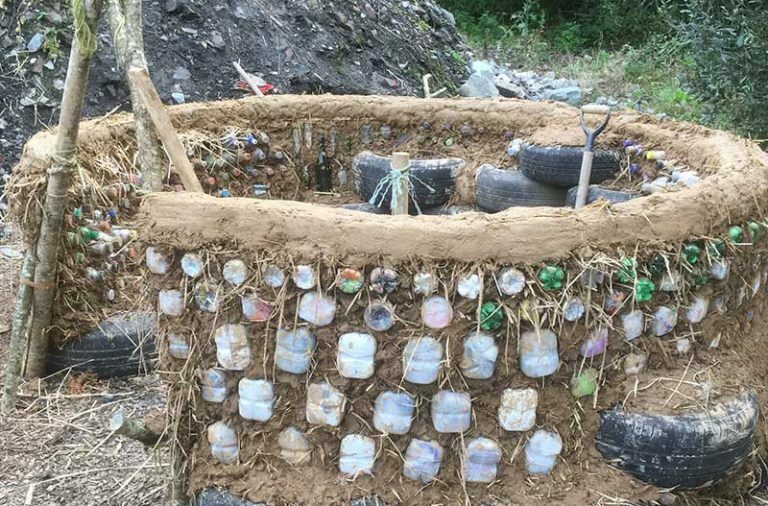 Serendipity – For Sean and Eloise Duffy building their family home in Co Cavan meant combining architecture with the practicalities of dealing with muck from the countryside. Only charred, not scarred – The DIY approach to charring timber shingles in Co Antrim. 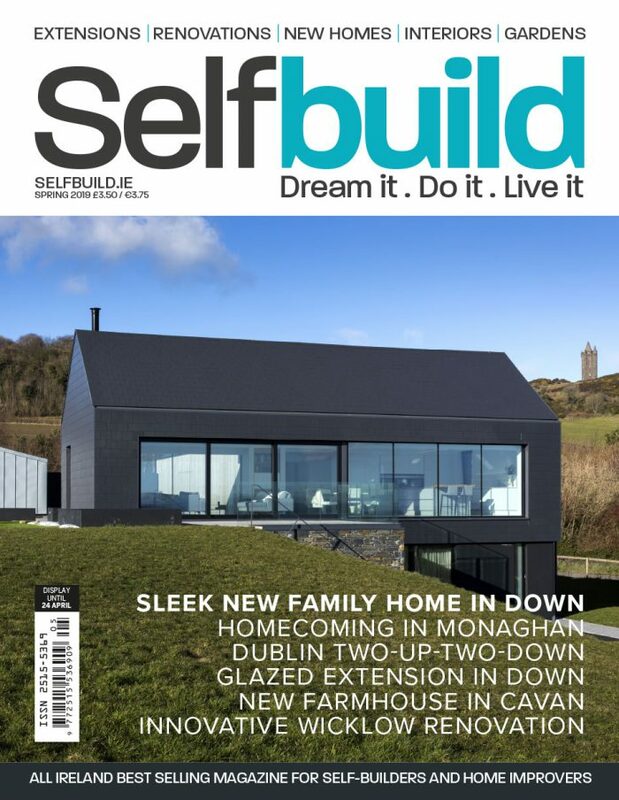 Cutting edge – How Katharine and Matt Dooley extended their house in Co Wicklow with a structural system made of EPS, glass fibre and cement. Block works – Our guide to building with masonry, from bricks and stone to cavity walls. Board versus bead – The two most common methods to insulate cavity walls go head-to-head: board insulation and bonded EPS beads. How much will your foundations cost? 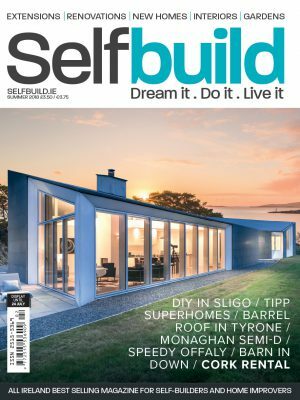 – First article in a series designed to help you budget for the specific elements of your self-build. Savage Salvage – How to upcycle everything from chairs to fireplaces. Kitchenista – How kitchen design has evolved over the years and what styles to choose from today. 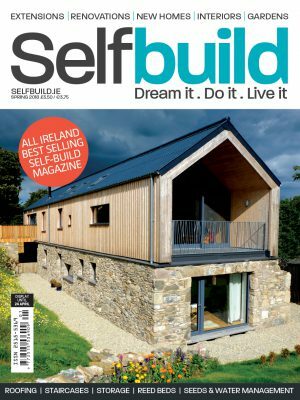 Over the Rainbow – An examination of what possesses people to go through the stress of a self-build. 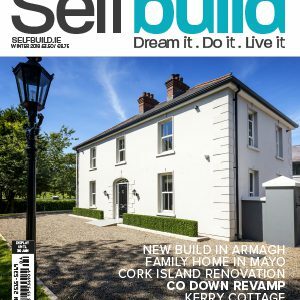 SELFBUILD LIVE CORK – In case you couldn’t make it to the event, we bring you the highlights from Selfbuild Live Cork. Why are builders’ quotes so shocking? – Eight reasons why those tenders gave you a fright. Beams with toast – Charred timber cladding has a wonderful look and provides great protection from the elements; we find out what’s involved. Missed opportunity – The proposed changes to the ROI wastewater Code of Practice do not include willow beds as a zero discharge system – this would have made it possible to self-build anywhere regardless of soil conditions. The joy of spring foraging – Once you’ve read our guide to harvesting your dinner, you’ll be donning your boots and woolly hat. Ask the expert – You have questions, we have answers. This issue: extensions that don’t require planning permission, insurance and radon membranes. Scrapbook – An update on the latest developments in 3D design and architecture for self-builders. Bathroom trends for 2019 – The top 5 trends that will excite your design sense and relax your body and mind.